Analysis: Is PRB is the place to be? Drilling Permits (TX): Week of May 14, D.R. 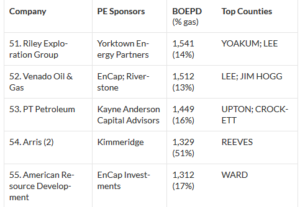 Horton-backed Founders Oil pursues Reeves Co.
Drilling Permits (TX): Possible rise in PE investment in South Texas?